Mr Mort is a blast. I've mentioned before that The Trad started as a street fashion blog but I didn't have the guts to ask people for a photograph. Mort is a great street photographer and has fairly catholic taste so you won't see just the hipsters and fashion elite. You'll see a little bit of everything. Like this fellow. When most folks here in the US of A see a worn cuff or collar - out it goes. And why shouldn't it when it was $30 at the Gap. When you pay $200 and upward for a custom shirt...there's another mind set entirely. As a kid, I loved the NBC mystery series, Banacek. George Peppard starred as an independent insurance investigator who worked for 10% of whatever he recovered for an insurance company. He was erudite, sophisticated, wealthy and hated by the Boston police and insurance companies alike. When he extinguishes a cigar and puts the short remaining half in his suit pocket, a cop asks, "Why do you keep those?" Banacek replies, "Because they're expensive." 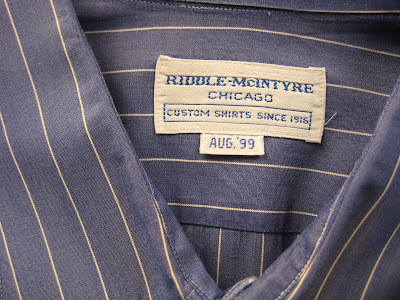 Frank at Riddle McIntyre is the lone 'bespoke' shirt maker left in Chicago. The rest are, and will admit when pushed, made to measure. 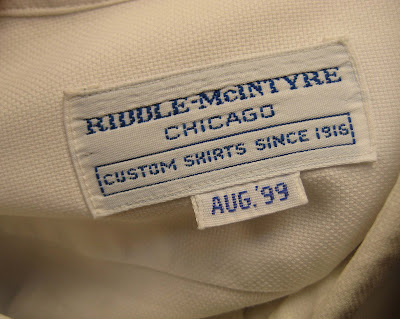 I returned to Riddle McIntyre to have the cuffs replaced. Frank remembered me because I requested a monogrammed laundry mark (my last name) on the tail of each shirt. Frank told me the fabric was lost in a fire and reminded me the shirt was seven years old and it was time to place a new order. Not so fast, Frank. I continue to wear these but admit they are now hand washed and ironed. That's extended their lives greatly. The original order was for four and I have three left. The fourth didn't make it. Kind of like a puppy - - it met an early end thanks to a Cesari Sangiovese. I have worn blouses with frayed cuffs! And if you saw, you wouldn't have to ask because you understand. Maybe that's why you've never been asked. People understand and "just know". I still watch Banacek occasionally on RTV here. 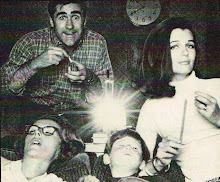 I loved, loved, loved that show. George Peppard was just fabulous. Your idea of patching up the shirt tails with bandanna cloth may be the most badass idea being tossed around on any of these style blogs. Fantastic sir, fantastic. Of course you risk wearing your surname on your cuff... you'd never hear the end of it from ADG. Are they too far gone to simply have turned? Because they are, after all, expensive. Yeah, I'm with you ... I think good quality just gets better aged, frayed and worn. It's a unique attraction or an acquired taste, but why throw them out? Kinda like some gals I know...they were too damned expensive, and some patchwork gives them a whole new life! Some shirts I just cannot part with! Interesting thought, grafting on a Pierre Deux fabric. That would make them "Toile Tails?" OK, so how'd the train disappear on Banacek? Who's the female interest in The Blue Max? 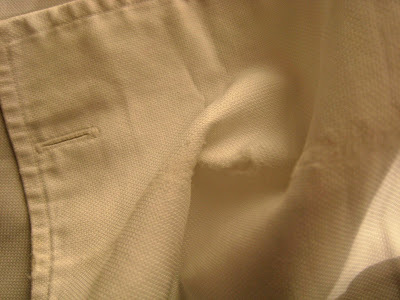 I grief from people sometimes when I wear a shirt with frayed collar or cuffs. They tell me that I can easily afford to buy another shirt. 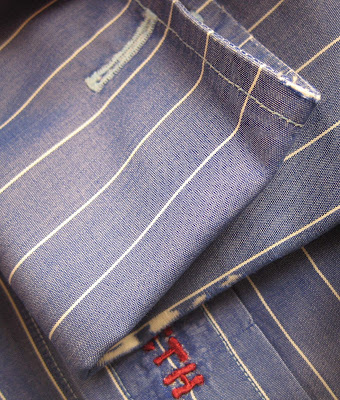 Which is why I prefer wearing the shirts with the frayed collar and cuffs. You can't buy what you had to earn.